Developer Hello Games has released a new No Man’s Sky experimental branch through Steam, which should resolve many issues that players have been reporting. Yesterday we reported on how No Man’s Sky didn’t have the best launch day – many PC players reported crashes and performance issues. 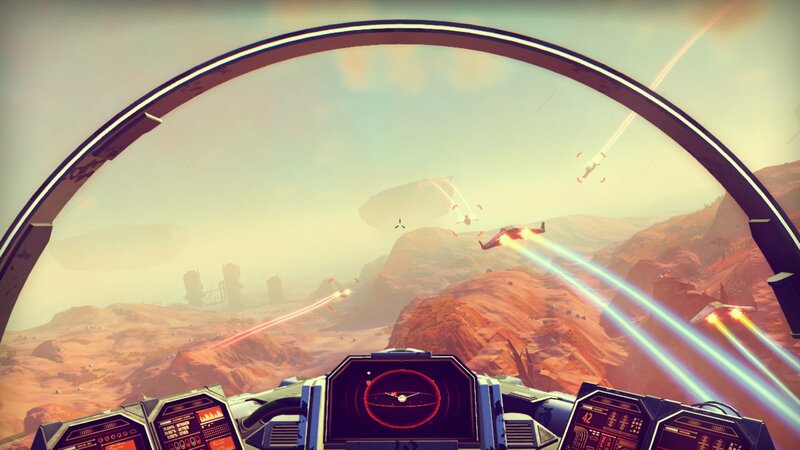 Hello Games and its founder, Sean Murray, reassured to be aware of the issues however, and a patch was promised to be released in the near future. In a new post on the game’s Steam hub, Hello Games has now promised that this patch will be made available for all players early next week. The hot fixes included with the patch are currently being tested by Hello Games’ test team. For those who can’t wait till next week, the patch is also made available in a new Steam Branch. Please note that is an ‘experimental’ branch for now. The new No Man’s Sky Steam branch is said to improve shader caching by replacing the game’s GPU caching system, offers improved performance for CPU’s with 4 threads or less, and has Gsync disabled by default. Additionally, Hello Games states that mouse smoothing has been improved, and AMD Phenom support is said to be improved as well. We’ve already resolved many issues for people who reported them by moving them over to this branch. Thousands of lines of assembly have been rewritten overnight to support AMD CPUs. Unfortunately whilst the game code no longer relies on anything above SSE 2, Havok Physics still requires “Supplemental SSE 3”, which was not supported until “Bobcat” and above. We’re discussing with Havok. Some systems/configs were crashing or not pausing correctly on Alt Tab. This should now be resolved. Smoothing on mouse movement has been improved to prevent hitching or stuttering, and is now adjustable through the Options menu in “Mouse Smoothing”. On some CPU/GPU configurations, setting Max FPS to 60 or 30 was not giving 60 or 30 FPS (causing stuttering). This has been improved. On CPUs with 4 threads or fewer, performance has been improved. The game will now let you know if you are trying to run with an unsupported GPU. This will hopefully flag for some users that their high end GPU has not been selected. To access the Experimental branch right-click on the game from the library page and select “Properties”. Among the available tabs will be the “BETAS” tab. Hello Games has also posted a list of the most common issues and workarounds in a separate post. Check out this page right here.